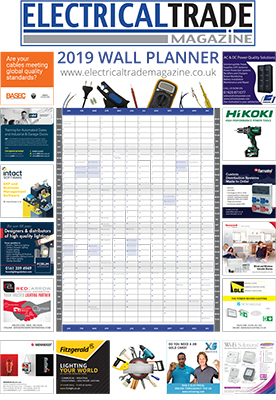 Details and information from past and upcoming Electrical trade events, exhibitions, shows, and awards from around the UK including ELEX, EMEX, Lux Live, NAPIT EXPO and many more. Electrical Trade Magazine was delighted to attend the Electrical Distributors' Association (EDA)'s 2019 Education & Training Awards recently. The UK’s largest British designer and manufacturer of premium radiators and towel warmers, Vogue UK, win SME News 2018 Midlands Enterprise Award for ‘Best Bathroom Heating & Accessories Supplier 2018’. Fire Safety North returns to Manchester. Learn. Network. Procure. Read more about Fire Safety North returns to Manchester. Learn. Network. Procure. With only months to go until the release of the NAPIT EXPO 18th Edition of the Wiring Regulations the industry is waiting in anticipation. Exertis, a leading distributor of technology products for the B2B, mobile and retail markets today announced further information on its Plug in to Exertis channel event to be held at Silverstone Circuit on 19th April. Western Business Exhibitions, organisers of The Health & Safety Event, has today announced the winners of the inaugural Safety and Health Excellence (SHE) Awards. The Government’s ‘ Year of Engineering ’ Campaign has launched this week including a range of activities which recognise the wide set of skills that will be required by the engineers of the future. Olympic medallist and motivational speaker Kriss Akabusi will be the keynote speaker at NICEIC ELECSA Live North, held at Aintree Racecourse on 23 November. Harvard Technology, a pioneer in the design, development and manufacture of smart lighting solutions, will be showcasing its ground-breaking wireless lighting controls system EyeNut on stand E5 at The Energy Managers Exhibition (EMEX) at the ExCeL Centre in London on November 22-23. PVC4Cables hosted yesterday its first conference ‘Sustainability, Innovation, Market: The new horizons of the PVC cables industry’ in Lyon, France, attracting more than 110 delegates from all over Europe.